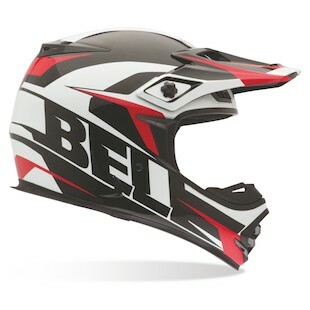 New Bell MX-2 Helmets: Sweet Graphical Action! 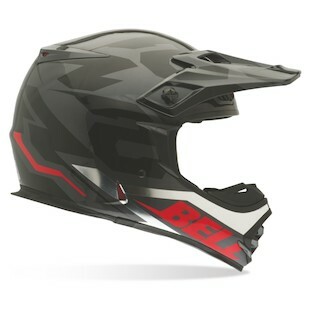 Three new graphic schemes join the ranks this Fall for the Bell MX-2 Helmet. Look sharply, they are looking sharp! This mid-range dirt helmet is a killer for what its worth, and Bell's sweet graphical action only adds flair to the package. We need your help with this first one! The Bell MX-2 Fifty-Four Helmet is named "54" because...? We aren't really sure where the number choice came from, but maybe there is some secret reference hiding in there that we didn't catch. Regardless, the Grey/Black/Chrome look is clean and attractive and we'll give it 54 thumbs up. Update: Bell was established in 1954, hence the "54" graphic. Alright, no worries, we've got it from here on out. The Bell MX-2 Quantum Helmet is measured by its bright colors and stark contrast. The Red/Black/Yellow is our preferred color of choice, but the Blue/Black/White leaves nothing to be desired. You'll be easily picked from a crowd with the Quantum. This isn't one for the meek and mild. 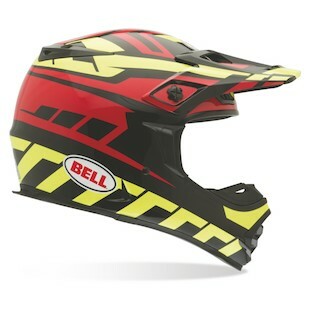 This installment of graphical action closes with the Bell MX-2 Element Helmet. I've enjoyed this branding trend from Bell and Shoei recently, where they turn their brand name into part of the art of the graphic. Its a win win: no ugly sticker logos, and better branding for Bell. The well-stated Red/White/Black colorway seals the deal. Hopefully you'll find the new Bell graphics just as "righteous" as we do! We recommend getting covered in mud while wearing one for full effect.